So much to say but, words, for me, don’t do thoughts/feelings justice. That said, I will do my best with the vocabulary I ‘have’ in an effort to communicate my thoughts/feelings on the what, why, how, when of the nubag (new bag) that I feel like working out of for the new year. Interestingly and without my knowledge (but not without my understanding), the time has come and the nu beat is being played and the dance begins TODAY. My aim is to post a tune every day between Feb 8th (new years day) and Jan 27th (year end), a marathon for sure but I will give it my best ‘shot’. The music will be diverse. First up a top ranking piece of, (late), Ska from a king of Jamaican music, Justin Hinds (and the Dominos), one of the pioneers of the vocal group style at his/their very best. Recorded for the mighty Duke, the Trojan, Reid and released on his Treasure Isle Label. Echoes of and certainly inspired by Curtis Mayfield and Jerry Butler’s early Soul killer .. I’m a Telling You. 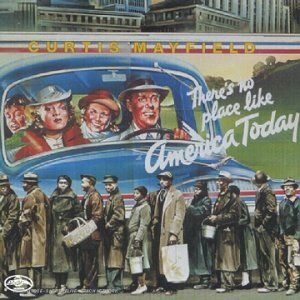 One more example of Curtis Mayfield’s contribution to the development of Jamaican music. Out of the Rhythm & Blues and into the Rocksteady with this majestic cover of the Impressions cut. Rarely does a cover do justice to the original for me but this one is an exception to the rule.. Written by Master Curtis Mayfield and originally recorded by the Impressions for the 1966 Ridin’ High LP the Sensations recorded this version in 1967. Released in the UK on Graeme Goodall’s Doctor Bird label this is a BiG piece from the Sensations, a group originally formed by Jimmy Riley and Cornel Campbell that featured, (along the way), Buster Riley, Aaron ‘Bobby’ Davis, Johnny Osbourne and Jackie Parris, who the lead is on todays fine piece im not sure but i’m guessing its Jackie Parris rather than Jimmy who had moved onto one of Jamaica’s greatest vocal groups the Uniques by 1967 but it could even be Cornel Campbell? one thing IS for SURE…the tune is a top ranking, nailed on marrow trembler and one that I’m sure Don Pedro will appreciate as the surf hits the shore on another day in paradise and he watches the sun sink over the pacific as the Don is world renowned for ALWAYS being ‘Right On Time’. BIG up yourself Don Pedro…. Why is Leroy such a legend?, (other than his musical genius), for those of us who had the pleasure to be ‘on the, (Rare Groove), scene’ back in the day (85-87), Leroy Hutson was one of the primary artists. His ‘Hutson II’ LP was IN DEMAND to say the least. If you were there you know what I’m talking about and to hear him perform today’s slice of the musicology pie Live and Direct was an experience never to be forgotten. The legend wasn’t due on until 9pm so it was touch and go but I managed it, (due in part to Craig Charles who was on fire for the two and a half hours leading up to Leroy coming on). As soon as he walked on though I was buzzing and immediately found my second wind. The man proceeded to tear it up and wove his magic leaving the crowd screaming for more especially when he enticed a call and response session on today’s slice the Rare Groove classic ‘Love The Feeling’ getting the Kittens to sing “Love I Love I Love” and the Cats to sing “The way you make me feel” was as good as it gets and anyone who was there knows what I’m talking about. For me it will always be a cherished memory..Recorded for and released on Curtis Mayfield’s Curtom label in 1976. Slipping back into the sweet sounds of Jamaica for today’s cut with a piece by one of the islands great artists the MAJESTIC and pioneering Cornell Campbell . A Cat who begun his recording career at the tender age of 11 in the mid 1950’s for Coxsone, moved on to record with King Edwards in the mid 60’s, harmonised within ‘The Sensations’ for Duke Reid’s Treasure Isle, returned triumphantly to Studio 1 with ‘The Eternals’ and then begun a long solo career that continues HALF A CENTURY later to this day. Here heard cutting his teeth on a Curtis Mayfield and The Impressions soul classic. As far as I’m concerned an absolute marrow trembler from start to finish and yet another musical diamond mined from the Studio1 archives. One listen should leave us in no doubt as to the influence both Curtis Mayfield and Coxsone Dodd had on Jamaican musicology….LISTEN TUNE. Significantly it was today’s artist that first touched both my conscious and unconscious in equal amounts beginning an appreciation for the man and his ‘language’ that started from babe in arms due, in part, to my dad who is a BIG Curtis Mayfiled, (and the Impressions), fan. One of the first LP’s that I can remember in fine detail is Curtis Live, (and it’s counterpart ‘Curtis’ you know the one with the man himself on the cover in them flared strides looking of into the sunset. I have featured and wrote about Curtis many times over the past three years so excuse me if I don’t repeat what I have already written for the sake of ‘information’. Highlighted from his eponymous and hard hitting 1975 social commentary set ‘There’s No Place Like America Today’…..
Monday morning, (and I mean morning ! ), in the Big A and my mind has been spinning like a whirling dervish trying to make some sense of this thing we call life. Was out all day yesterday and didn’t find the time and space to throw down a cut and today’s my last day so I’m determined to lay a farewell slice of the NewYork pie on the line…was all over Manhattan like a rash yesterday starting in a well known electronic/photographic retail emporium in search of a Lumix GF1 camera after being well and truly bitten by it’s amazing reviews but no dice as they are continually out of stock such is it’s popularity, making the desire to own one even greater. Then a short walk through Hells Kitchen on a mission to find a cupcake shop for Lucy’s friend where we breezed through a flea market. Nothing really took my eye enough for me to put my hand in my ‘sky’ other than a small photograph which will serve as a visual reminder. a short walk through Times Square and onto lunch at Cipriani’s in Grand Central where we indulged in their famed Bellini..I’m not used to eating in the afternoon and after a cauliflower soup and a serving of Eggs Benedict I was well and truly stuffed and so we waddled down to the subway to take a ride downtown for a bit of retail therapy..truth was that nothing inspired me enough to buy other than a small gift a piece for Con and Fabes..I need to feel the vibes to shop and yesterday didn’t have that flavour. 4 days hasn’t been enough, I haven’t even begun to speak about what’s in my heart and on my mind. Didn’t sleep much last night and find myself standing on a crossroads..might step out? walking the streets often helps me to find the way. The cut today has major significence for me as, (according to my dad), it was the tune that he used to rock me to sleep as a babe in arms, many moons have waned since then but my deep appreciation for Curtis continues and will remain until the ’12th of never’. Recorded live at New York’s ‘Bitter End’ in 1970 regulars on themusicologist may be aware that pieces from the set have already featured here over the years and that not only is it my oldest musical memory but also my most treasured. from the Intro on side 1 right through to the outro on side 2 every recorded moment hangs off the top branch of the musicology tree.